Peter's Pit is designated as a RIGS site because it provides access, in the Medway Valley, to an infrequently exposed interval in the Lower and Middle Chalks. It also provides an interesting comparison with the Plenus Marls exposed at Halling. During the late 19th and early 20th centuries important fossil collections were made at Peter's Pit making it a site of historical interest. Peter's Pit is part of a network of Chalk RIGS in the Medway Valley. This large old pit, now subject to partial redevelopment, exposes the upper part of the Lower Chalk and the lower part of the Middle Chalk (i.e. it straddles the Cenomanian-Turonian boundary). 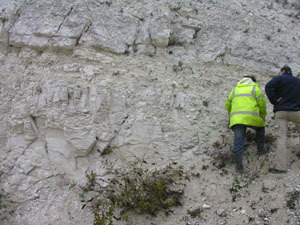 The base of the designated section falls within the Grey Chalk which contains fossils characteristic of this level. 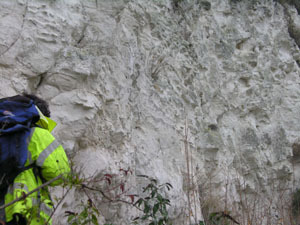 The overlying chalk is weathered and rather inaccessible but the top of the Lower Chalk (the Plenus Marls) and the basal beds of the Middle Chalk (the Melbourne Rock) are easily accessible. The Plenus Marls have been divided into eight thin beds that can be traced throughout the Anglo-Paris basin. At Peter's Pit all eight beds are present in contrast to the RIGS at Halling Chalk Pit, on the other side of the Medway, where bed 1 is missing and bed 2 lays on an erosion surface. The overlying Melbourne Rock, a hard nodular chalk, is poorly exposed but is quite fossiliferous. 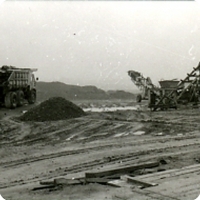 Peter's Pit was surveyed for designation as a RIGS in December 2005. Permission is required for access, restrictions will apply during any development of the site. At present, foot access is relatively easy across an uneven pit floor but there are trenches close to some faces. Faces are near vertical and hence there is also the risk of falling debris.